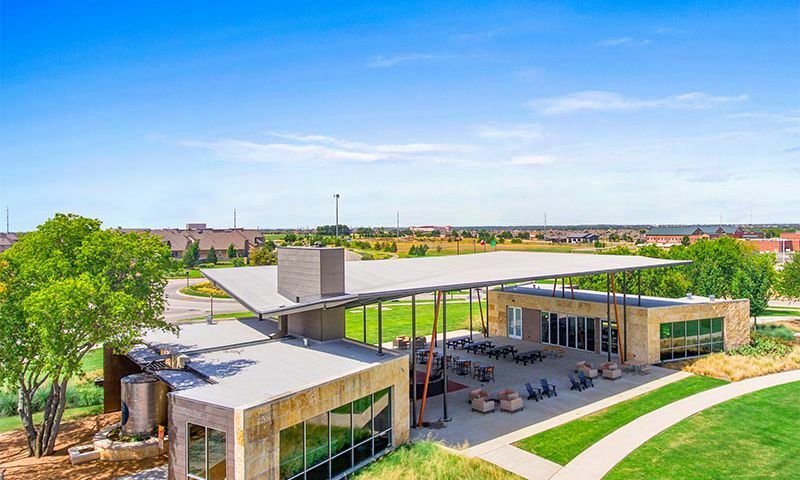 Within a master-planned community in Little Elm, Texas, Del Webb at Union Park has resort-style living and single-story homes. Residents can choose from 10 different single-family home styles. Active adults in the community will have the chance to partake in activities in the clubhouse which features a resort-style outdoor pool, a fitness center, and ball courts. A variety of single-family home styles await Union Park residents. Homes have two or three bedrooms, two or three bathrooms, with two-car garages. Sizes range from 1,400 square feet to 2,500 square feet. Prices range from the low $200s to the low $300s. Amenities in the community will allow for sports, fitness, and relaxing by the pool, Residents will also be able to socialize and pass time with many activities in the clubhouse, including learning to cook, honing computer skills, playing card games to befriend other residents, and painting for fun. Outdoors, residents will have many ways to stay in shape, including using the walking trails, playing tennis and bocce ball, and swimming. The Union Park area of Little Elm is about 45 minutes away from Dallas. It is walking distance from Lewisville Lake, where residents can enjoy boating, fishing, and local golf courses. Medical centers are also close to the community. Downtown Denton is close by and features live music and great dining options. Shopping is a plus, with the Frisco Mercantile selling antique items. For those looking to travel, Dallas-Fort Worth International Airport provides an opportunity to travel. There are plenty of activities available in Del Webb at Union Park. Here is a sample of some of the clubs, activities and classes offered here. 55places.com is not affiliated with the developer(s) or homeowners association of Del Webb at Union Park. The information you submit is distributed to a 55places.com Partner Agent, who is a licensed real estate agent. The information regarding Del Webb at Union Park has not been verified or approved by the developer or homeowners association. Please verify all information prior to purchasing. 55places.com is not responsible for any errors regarding the information displayed on this website.